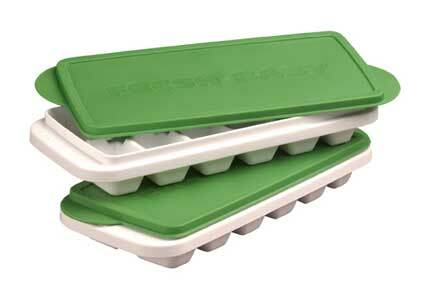 The simplest and most convenient system for making baby food is to make large batches of food purees and freeze it in single serving cubes. Once you get started, it will take about 30 minutes per week. Here is some time saving advice that will help you out. Use a cookbook for support. Invest in a baby food cookbook. It will offer you guidance and suggestions that will keep you focused on success. Plan ahead. Before you go to the grocery store, look through the freezer and take a mental inventory. Read through the recipes in your cookbook and select something to make. Always have a backup recipe, just in case the food you wanted to purchase is not ripe, in poor condition, unavailable, or too expensive. Buy frozen. Buying frozen foods saves a lot of time—it is already washed, cleaned, and ready to cook. Washing and cleaning some foods can be the most time-consuming step in making baby food. It most cases, frozen fruits and vegetables are equal in nutrition to store-bought fresh produce. Pick one cooking method and stick with it. You can choose to cook foods on the stove top or the microwave. Pick one method and stick with it. This will enable you to master the technique and become more efficient – saving you time in the long run. Plan on 30 minutes per week. Set aside the time to make your baby food. Pick a time when you do not have distractions. In the evening after your baby has gone to sleep is a great time. DON’T try to make baby food with your baby in the kitchen—it will go slower, it will be frustrating, and it could even be dangerous. Double favorite recipes. Some foods will become staples in your baby’s diet. Learn what they are and make twice as much. 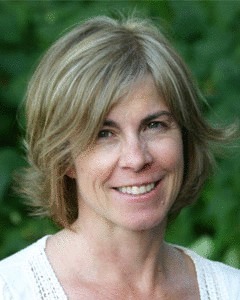 Cheryl Tallman is the founder of Fresh Baby. For more than 10 years, Fresh Baby helped has helped parents foster their children’s healthy eating habits and proactively respond to the childhood obesity epidemic that plagues our nation. Cheryl is the author and designer of the company’s award-winning cookbooks and nutrition education products that support many stages of family life including: pregnancy, breastfeeding, introducing solid foods, and feeding toddlers, preschoolers & school-aged children.